This is the ultimate “modern peel”— with no chemicals, harsh grinds, or long appointments. This gentle laser peel instantly removes just the top layer of skin for beautiful results with just 1-2 days of downtime. Nothing shows age like our skin. If your skin looks dull and tired, you may be considering (or already doing) treatments like a chemical peel or microdermabrasion. These are treatments that use chemicals or abrasive materials to remove the top layer of the skin promoting new skin to grow from underneath. But the NanoLaserPeel from Sciton can do much more. It uses light energy to instantly remove the top layers of the skin at a depth that also accelerates the skin’s own renewal process by activating special messenger cells. 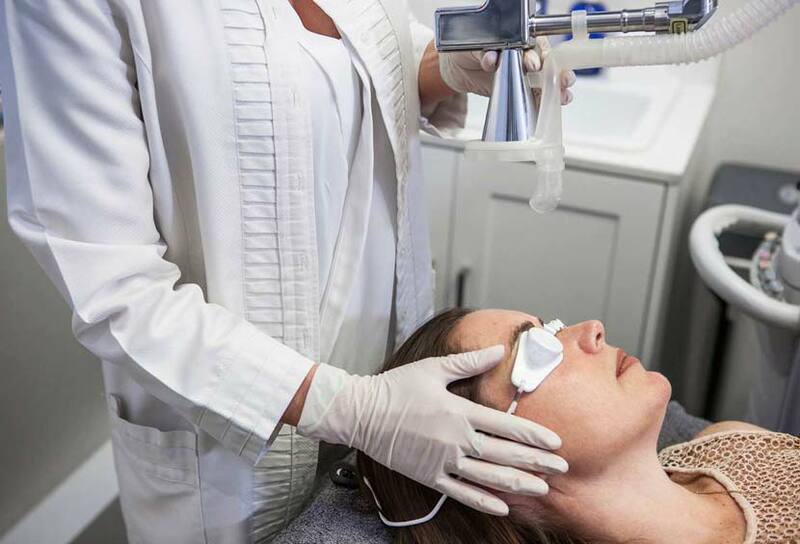 Microdermabrasion and chemical peels often don’t get deep enough and other lasers leave a layer of heat-damaged cells that interrupt the ability of these messenger cells to communicate with deeper layers of skin. Only the NanoLaserPeel from Sciton has the precision to work at just the right depth, creating beautifully smooth, luminous skin. Five minutes and you’re on your way. Make-up goes on easily and blends flawlessly. If you get botulinum toxin or filler injections to smooth wrinkles around your eyes or mouth, indulge in a NanoLaserPeel to restore a fresh glow to your entire face. NanoLaserPeel removes a thin layer of damaged skin to improve texture and provide a more youthful appearance. It provides superior results because it can be administered with great precision of depth. The procedure is performed in your physician’s office and can be custom tailored to your specific skin conditions and desired outcome. Q. HOW DOES NANOLASER PEEL WORK? The NanoLaserPeel beam is scanned over a treatment area to remove a very thin layer of the skin. Removing the top layer eliminates some of the damaged cells that can give skin a tired, aged look. Plus it activates messenger cells to trigger the body’s natural healing process. As the skin heals, fresh cells grow and resurface the treated area. The result is healthier-looking skin, often with reduced wrinkles and improved color evenness. 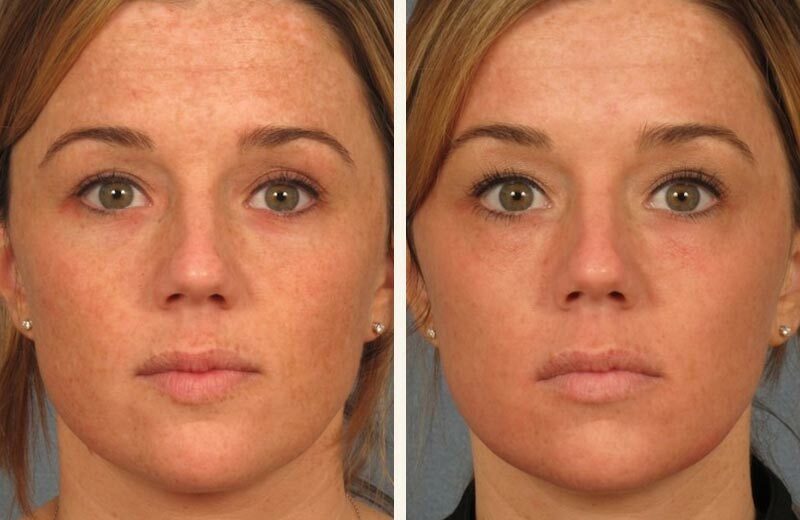 Patients often say that it looks like their skin went from looking tired to vibrant. Q. WHAT CONDITIONS CAN BE TREATED WITH NANOLASERPEEL? Q. WHAT AREAS OF THE BODY CAN BE TREATED? Most skin areas can be treated. Popular treatment areas are the face and neck, though some people also treat the chest and hands. You should discuss your needs with your physician. Q. WHAT WILL HAPPEN DURING THE PROCEDURE? Your skin will be cleaned in the treatment area and your eyes will be protected with safety shields. The physician will position the laser handpiece above the skin and will hold it in place as the computer-guided scanner moves the laser beam around the treatment area. Depending on the size of the area being treated, the procedure usually lasts 5 to 10 minutes. Q. WILL IT BE UNCOMFORTABLE? One of the primary advantages of NanoLaserPeel is that it causes little pain because it does not penetrate very deeply into the skin. At its most shallow settings, most people can tolerate treatment with no anesthetic at all. Q. WHAT SHOULD I EXPECT IMMEDIATELY AFTER THE TREATMENT? 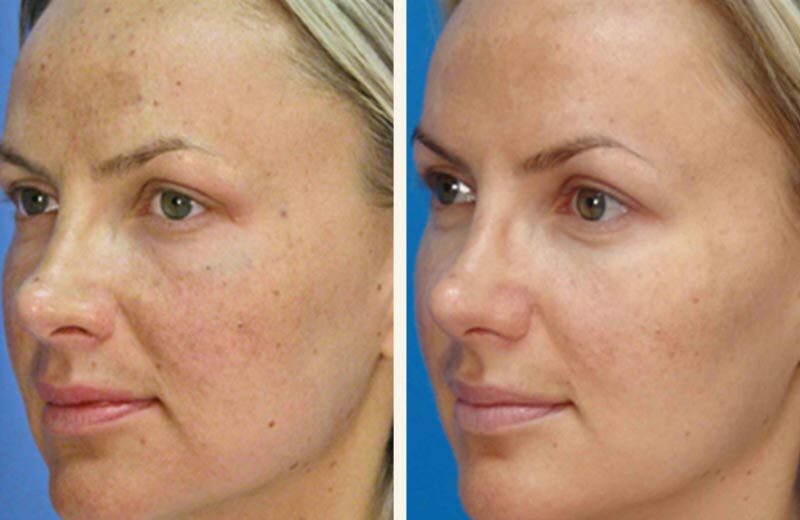 Immediately after the treatment you will notice that the skin has a “frosty” appearance. This is the dehydrated skin that will peel away a next few days following the treatment. You may experience some skin redness and a sensation resembling sunburn, as well as mild swelling. Q. WHEN SHOULD I EXPECT RESULTS? Because only the outer layer of skin is treated, most patients notice an obvious improvement in tone, texture and color evenness once the skin heals in approximately 2-3 days.